Livelihood is a global concern. Rural economy across the globe is influenced by the status of livelihood. The status of livelihood and its issues differ countrywise and economy wise. Improving the livelihood status is gaining global emphasis. Since the last few decades, countries and developmental entities have been promoting livelihoods to mitigate various socio-economic problems. Needless to mention, the strategies to promote livelihood also have to be different and contextual, keeping in view the socio-economic, geographical and demographic factors. In a rural economy like India, emphasis has to be given on livelihood promotion. The Global Multidimensional Poverty Index (MPI), 2018 shows that India has been successful in reducing poverty over the last decade. MPI measures multidimensional poverty across three equally weighted dimensions - health, education and living standards. The MPI reinforces that poverty is not one-dimensional and income alone cannot be the sole factor for determining poverty. Countries around the world like Colombia, Mexico and Bhutan etc. are looking at poverty and livelihood issues in a multidimensional manner. Effective functioning and better monitoring of developmental schemes, leading to sustainable livelihood, will definitely help in reducing poverty. For sustainable livelihood, development of social and human capital is a must. The challenges are daunting as livelihood has deep-rooted reflection in the values and attitudes of people. To that extent, psychological aspects and reflection of livelihood issues in literature and on mass media also holds significance. There is a role for education as well; here Open and Distance Learning (ODL) can play a significant role. For example, Commonwealth of Learning (COL) is actively engaged in livelihood promotion in Sub-Saharan countries. We need to explore what role open education and developmental interventions can play in contributing towards livelihood promotion in a sustainable manner. Keeping all these aspects in view, Krishna Kanta Handiqui State Open University has designed a two day International Conference on the topic.“Livelihood Issues in Developing Countries -Role of ODL”. 1. To develop ideas on the role and status of developmental interventions and open learning in addressing issues related to the quality of life at the grassroots. 2. To explore case specific issues of livelihood across social sectors and economies. 3. To explore how livelihood issues are reflected in the various treatise of literature, mass media, philosophical schools etc. 2. Inclusive Education, Open Education and Livelihood Promotion . 3. Sustainability, SDGs and Livelihood Issues : Role of ODL . 4. Livelihood Issues as Reflected in Ancient and Contemporary Literature . 5. Political Ideology, Governance Issues and Livelihood. 6. Economic Policies and Livelihood Concerns. 7. Livelihood Issues in North-East India. 8. Management/Operational Issues/ICT in Livelihood Promotion. 9. Case Studies related to Livelihood Issues and ODL. The KKHSOU is the fourteenth of its kind along with IGNOU and the only state Open University in the whole of North-East India.The aim of the University is to promote education to reach the unreached through the Open and Distance Learning System and the motto of the University is "Education Beyond Barriers"
Universities The Hon'ble Vice-Chancellor of the State Open Universities have already been approached to serve as Chairpersons|Discussants|Panellists in the various sessions of the Conference. Universities and Institutes We are also waiting for confrimation from Bangladesh Open University, The Open University of Sri Lanka and The Institute for Gross national Happiness Studies, Royal University of Bhutan. Depending upon the number of paper presenter, Poster Presentation a detail schedule of the conference will be prepared near the time. The Speaker for the plenary session also will be notified. 1. 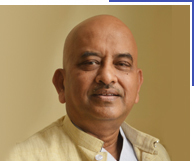 Dr. Chandrama Goswami, Associate Professor, Economics. 2. Dr. Prasenjit Das, Associate Professor, English. 1. 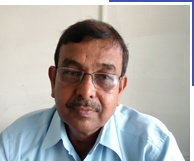 Dr. Pranab Saikia, Associate Professor, Teachers Education. 2. Dr. Bipul Das, Associate Professor, Political Science. 3. 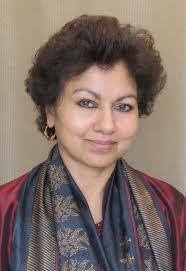 Dr. Smritisikha Choudhury, Assistant Professor, Management. 4. 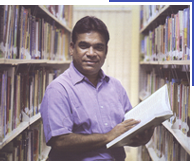 Dr. Bhaskar Sarmah, Assistant Professor, Economics. 5. Dr. Abhijit Bhuyan, Assistant Professor, Political Science. 6. Dr. Utpal Deka, Assistant Professor, Economics. 1. 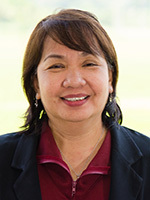 Dr. Krishna Kalita, Assistant Professor, Teacher Education. 2. Dr. Juri Hazarika, Assistant Professor, Mass Communication. The Conference Committee invites submission of Abstracts(Oral or Poster) for the Conference. 1. Abstract should be written in English and should be submitted in the prescribed Abstract Format only to the e-mail ID- conference2019@kkhsou.in. Please visit our conference website www.conference.kkhsou.ac.in for Abstract Format. 2. Abstract should be within 300 to 400 words. 4. Authors should indicate the preferred conference sub theme in their Abstract. 5. Joint papers are welcome, but in that case , the number of authors should be restricted to maximum three. 6. The abstract will be subject to a comprehensive review process. Guidlines for final papers will be communicated to the authors of selected Abstracts. 1. Selected papers will be published in a conference volume with ISBN number (being applied). 2. Abstracts of all papers will be published.